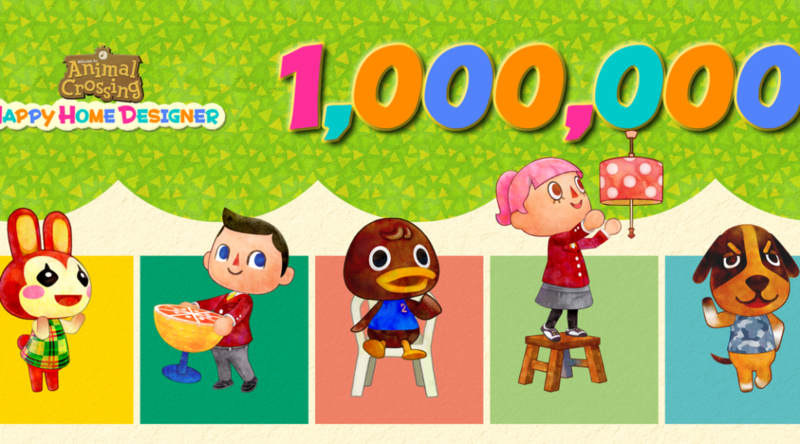 Today, Nintendo UK announced a new milestone for Animal Crossing: Happy Home Designer sales. The game has moved a total of 1 million copies in Europe. To celebrate, Nintendo of Europe has released a special celebratory image below. Animal Crossing: Happy Home Designer (released in 2015) is a Nintendo 3DS game which focuses on interior design, and lets players customize their houses without the fuss of worrying about spending bells on furniture and expansions. The game also introduced amiibo cards, which can be used to invite different villagers into the game.